In Rhode Island, the Auxiliary meets from Mid-August to April, for a total of 4 meetings. The RI Department Auxiliary meets at 7:00 p.m. on the last Saturday of each month, September through May usually at the General Nathanael Greene Homestead Museum, Spell Hall, 50 Taft Street, Coventry, RI. The Annual Meeting for the officers and Board shall be the nearest Saturday to Veterans Day. Projects that the RI ASUVCW have participated include: a tribute in honor of RIs General George Sears Greene, instrumental in the Battle of Culps Hill, on the true Memorial Day; assisted the RI SUVCW in flagging over 3000 Civil War Veterans graves during Memorial Day and participated in several Memorial Day ceremonies honoring RIs Civil War honoring R.I. Revolutionary War Veterans. We also conducted several school programs which include Civil War civilian ladies & men, camp life/soldier and GAR displays. Perhaps you have an interest in some of our programs and would like to participate in some way. 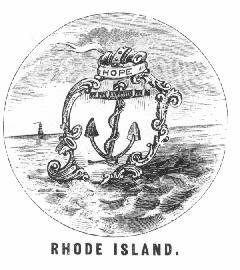 We look forward to having you become involved in patriotic endeavors in the State of Rhode Island by becoming a member and helping us "Perpetuate the Memory of the Grand Army of the Republic" and the Civil War. This page designed by: , RHODE ISLAND CIVIL WAR-REVOLUTIONARY WAR HISTORY NET, HQ @ Gen. Nathanael Greene Homestead Museum at Spell Hall, Coventry, RI.